Mother SARAH KELLY, b. 12 Feb 1641, Newbury, Essex Co., Mass. Family SAMUEL SPOFFORD, b. 31 Jan 1653, Rowley, Essex Co., Mass. 2. Thomas Spofford, b. 6 Jun 1678, Rowley, Essex Co., Mass. 3. SARAH SPOFFORD, b. 16 Sep 1680, Bradford, Essex Co., Mass. 5. Hannah Spofford, b. 12 Feb 1684, Rowley, Essex Co., Mass. 6. Ruth Spofford, b. 18 Nov 1687, Rowley, Essex Co., Mass. 7. Samuel Spofford, b. Bef Apr 1690, Rowley, Essex Co., Mass. 9. 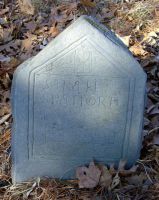 Mehitable Spofford, b. Bef May 1678, Rowley, Essex Co., Mass. 10. Lydia Spofford, b. Bef 7 Jul 1700, Rowley, Essex Co., Mass. 11. 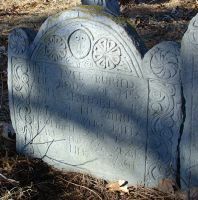 Elizabeth Spofford, b. Bef Jul 1702, Rowley, Essex Co., Mass.